In college, I found myself engaged in a sort of sacred pact with a few of my friends. I say sacred not because it was religious in the conventional sense, but because what we did together helped to restore a sense of meaning and vitality amongst the immediate members of our group, and amongst the larger network we touched. Sure, lots of groups develop a sense of harmony that makes belonging to them meaningful for its members, but for a local group/network to really thrive, it must have more than just a shared set of social interests, like playing music together, or being into Comic Books, etc. For a network of friends to truly thrive, I claim that it must invent a myth. The invention of a myth is something that enables you to break from the deadlock of alienation in America. The kind of alienation one feels in their early twenties is a profound sense of loneliness. Somewhere deep inside you is an urge to connect with your friends, to build something with them. Very seldom do we feel fully engaged in authentic social relations before we get to college, so this time can be one for exploring how to invent this sort of authentic space. Your desire is situated around a void between pure access to meaning and the more typical route that society succumbs you to, which is a drab sort of highly mediated addictive pseudo bliss that comes with drug use. I can’t speak so much of the “how” regarding the invention of a myth, but I can speak of the functions and the uses of a myth. So I am speaking of the myth in its most general sense. Once it emerges in a group, it takes on a life of its own and brings those that adhere to it an object by which they can appropriate and imitate, as well as remain in fidelity to. This proximity the group develops to the object of the myth contains a mystical power. Like staring at the sun in the naive wish that it might cure you or give you something you don’t posses, the myth has a certain potency precisely because it is a pure source of desire. More specifically, the myth gives access to pure desire. The purpose of the myth is to restore something lost, thus it’s always nostalgic. The myth allows for the presentation and not merely the representation of virtues into modern life. Heroism, vitality, connection, and so on. The myth rehabilitates a certain balance and a type of order. The myth is built around human figures who provide a source of inspiration. They are both cautionary tales as much as they are heroic exemplars for good ethical behavior. Their humanity is what saves them, their fallibility is what makes them heroic. Myths are created because through the imitation you perform on it, a site of originality emerges: the myth becomes another myth within a myth you are imitating. This point presents us with the difference between a myth and religion. In a myth, the movement is one of a palimpsest of possibility, where the figures of appropriation and adulation are homologous to the members enacting and remaining loyal to the myth’s powers. There is no transcendent relation we construct to these figures. The meaning is purely immanent to the act of appropriating their forms, styles, and behaviors. 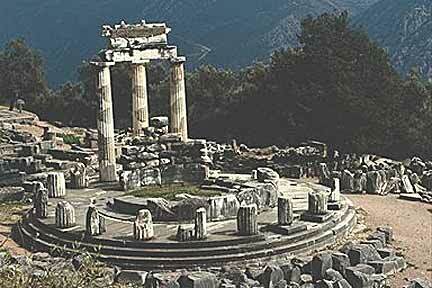 The Oracle at Delphi is the location the Greeks would go to have their fortunes told to them. Because the myth contains so much meaning, the motto of the group is one of cautious exclusivity. Once the myth has entered into a group, it becomes like a type of “Fight Club.” Therefore any group that contains a myth will always have a motto such as this: “maintain your pact of secrecy to the others and to one another at all times.” The members gain a collective enjoyment surplus that has effects on everyone around them. They begin to no longer depend on previous familial relations in the same way. This productive desire the myth facilitates in the group is similar to Lacan’s theory the “plus one,” or a desire surplus that is developed out of the collaboration in some project by a small group of four to five. Whether the myth is used to manage this surplus, or whether the myth gives this surplus an outlet is a question for a later time. What I would like to suggest, however, is that the group grounded in relation to the sacred gives its members a new relation to the real. The real is a new relation the group develops to their own psychosis and fantasy they have constructed. 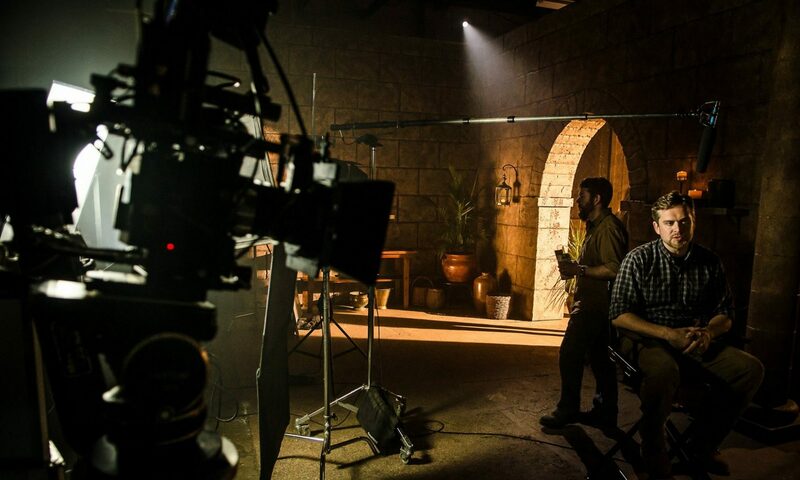 It is an awareness of the fiction that has enveloped the group. What causes the group to begin to realize this fantasy quality of the myth is typically the founder or leaders insecurity in persisting in what he or she has initiated. His fear typically comes from feeling too committed or that he has taken the other members into a territory he can no longer control. It is at this impasse with the real that conflict begins to arise, precisely at the moment the imaginary relations that sustain the myth become too real. When the cocoon forms, some group members begin to see the fiction the group has created all around it as real and this begins to make them feel overly reliant upon the myth. Some members then suggest that it might be best to abandon it entirely, and others hold fast to it. At this point, the myth’s power becomes dangerous and it begins to disintegrate. The leader begins to feel that he has reversed the sense of alienation that originally caused them to create the myth in the first place. When the group begins to disintegrate it faces the real like Antigone faced her desire to bury her brother. An entire ethics could be constructed out of this impasse. What I do know is that at the end of it all, when things have completely disintegrated, the myth usually gets overrun by outsiders, those that challenge its hegemony and the insiders that remain loyal to its fidelity and intensity have somehow failed. The leader has given up on it and has given up on his own ability to effectively appropriate the myth for the good of his friends. But importantly, his friends don’t blame him. The fact he gave them the myth in the first place is all that matters to them. Our myth was built around a desire to appropriate a small literary avant garde group. I won’t divulge the contents or the causes and the reasons why this group was chosen. Chosen very well could be the wrong way to look at it. What I do know is that our myth could have been many things and the fact we chose what we did was not accidental, nor was it completely contingent. 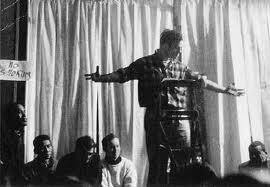 We sought to maintain a visible and sacred relation to the Beat generation writers Kerouac, Ginsberg and their immediate confidants and muses. In the Beat mythology, we found an entirely different myth than what was available to us at the time. The Beats grappled with the work of Oswald Spengler, the apocalyptic historian and philosopher of the Lost Generation, but also put into conversation a long cosmic dialogue with the great literary traditions going back to the Gnostic tradition, the ancient Greeks, Buddhism, and so on. Unlike many others that have sought to appropriate the Beats, ours was very open minded and not anti-intellectual. They were our very own cult of Dionysus. The myths that situated their habitus was happening amidst a time of increasing madness: pre-Vietnam war, the Cold War, and the suburbanization of America. Our unconscious desire revolved around this: how can we absorb the Beats singular persona’s into our lives in such a proximity that would enable us to reach a point of discovery about something we weren’t ready to realize in our own lives. As models for our own lives, the intricate and nearly infinite imprint of the Beat culture became something we would see the world through. It was our sacred prism of vision. Importantly, this proximity to the Beats is what led to our inevitable situation of tragedy. Not only because their project would end in failure, but also because at some point, you realize that you must go another way, that you must abandon them even when they have given you so much. But by the time of moving on from them, you realize that a myth is no longer possible, and that maybe something has been learned in the process. You leave with an understanding of the fiction of meaning and the power of the myth. Life has become more true, more real, And ultimately more tolerable. There are many who face the myth and remain in tragedy, however. Still others might forever see it as a sort of psychosis or dream that never presented any value other than a set of delusions. For me, the myth enabled me to overcome a type of mid-life crisis that so many in my generation face in their early twenties. Passing through this myth is what set me free and un-moored me as a young aspiring intellectual. It helped me realize what I want out of my life, and it taught me how to dream. It’s human nature to create myths, as working models of our world, We would be lost without the myths of identity, society, reality, political parties, ideologies, religions, scientific methodologies and so on. The problem with the nihilist or anti-philosopher is that it’s impossible to not believe in anything, because that’s not how our mind works. You can be open minded and offer criticisms of different models, but it’s not possible to disbelief in all of them at the same time. Otherwise thinking would be impossible without an internal logic. I think you make a good point, Miguel. Although in this post I am not invoking nor thinking about philosophy. I would also say that myth is perhaps the wrong word to use here. What this was seems to merit a neologism that might encompass this specific act we performed? Yes, it would be useful, furthermore myth in this context works as a neologism too. I also think it is appropiate. Some other plausible ones: Hypothesis, sketch, story, narrative, symbolical space, literary space, modeled reality, conceptual world, communal myth.